 ​iAsk x China Daily | Why did its share surge by 90% since IPO? I really appreciate passionate and devoted entrepreneurs, who do not care about anything else and pour their heart and soul into doing things. On September 12th local time, Nio went public on New York Stock Exchange. Since its filing for IPO on August 13th until ringing the bell on September 12th, Nio took only a month to become the second listed electric car company on US stock markets. Despite its tumbling stock price on its first day, Nio still gained the name of “the first listed new energy vehicle company in China”. Last year, China sold 770k units of new energy vehicles. The accumulated sales of new energy vehicles in China reached 1.8 million units, about 50% of the world’s sales. On the front line of new energy vehicle development, William Li (Li Bin), the founder of Nio is taking the lead. Through out his twenty-two years of founding journeys, Willian Li never left the internet andcars. He is the founder of China’s biggest car internet company Bitauto, an incubator for Mobike, and is widely known as “the god father of mobility”. Most people see William Li on the battle front line, but rarely know of Liu Erhai who has been standing behind-the-scenes. The insiders used to joke that: When it is about investing in William Li’s project, all Liu Erhai needs to do, is to give money. Indeed, Liu Erhai, the founder of Joy Capital has invested Bitauto, Mobike, and Nio. Nowadays, NYSE-listed Nioand Mobike, which is valued at 4 billion dollars, brought Liu Erhai to the front stage. In 2018, Liu Erhai returned to the “The Forbes Midas list”, which is also called “the Oscar of VC industry”. The three-year-old Joy Capital was the youngest VC on the list. Many of his investments turned into unicorns of its segment, such as Mobike, UCAR, Xiaozhu etc. People say he has “the Midas Touch” for investments. What is Liu Erhai’s investment thesis and strategic planning that led to his Midas Touch? Gloria Ai: Many of your investments are quite controversial in the opinion of a class ic investor. Because they are usually not profitable, but keep expanding through continuous financing. Through capital, these companies connect distributed markets with low-entry barriers and become monopolies and unicorns. Is this a healthy way of development or a kind of bubble that is typical for China? Liu Erhai: This is a great question. I categorize venture development in China into three stages. The first is from 1978 to 1988, it is the age of enlightenment for Chinese ventures. Back then, Mr. Ren Zhengfei came up with “The Huawei Principles” and Mr. Liu Chuanzhi came up with his “Three Elements of Management”. Back then, people in China didn’t know much about managing an enterprise, they also do not have much capital. The second stage is from 1998 to 2018. During this time, VC played an important role, financing and spending money became very important. This is why so many firms were financing lots of funding for expansion. China is about to enter the third stage, which is the era of ultra-innovation. If you can grow your business well without the need to spend a lot of money, that is great. So why are we spending so much money? It shows a lack of innovation. So what you saw is a common thing. Not only one or two firms, but many firms have such characteristics. Gloria Ai: It reminds me that someone said: Trading is a collective consciousness at a certain moment. So the moment we purchase something orinvest in something, we reached a common agreement that this thing is worth buying or investing in. But when we evaluate a company, price and value are two different things. Joy capital has invested in many firms that are very valuable, but the question is, are the firms worth such high valuations? Or such high price tags? So I want to understand more about your investment thesis. Liu Erhai: The key is innovation. From the beginning, we are building the foundation inside of our firm, which is a key point. We have an investment thesis that is “to focus on the bases”, with many different focus areas. Within those areas, we have four paths. There is a technology path, an industry path, a new business model path and a social develop path etc. In the past, VCs do not talk about industries. We further segment industries into mobility and living & space segments. From the industry path, we can build bases. The so-called base has 3 criteria: First, it covers a wide range of topics; Second, we have top projects in this area; Third, we have connections and we understand it. Gloria Ai: You supported William Li’s Bitauto, and you continued to support his Nio and Mobike. This level of consistency and commitment is rare to see in the VC industry. What is the rationale behind it to say that I am sure about this person, therefore I support all his projects? Liu Erhai: It is truly difficult to find excellent entrepreneurs, extremely difficult. Gloria Ai: How is an excellent entrepreneur like for you? Liu Erhai: He does not only take others or his own money to invest, but he also needs to spend his own time, energy and total devotion. I really like the entrepreneurs who are passionate and devoted, who do not care about anything else and pour their heart and soul into this one thing. Gloria Ai: Doing investments in China is quite interesting, it seems like there is a new hype or buzzword every three months. Some people say China has a large basis, a large market and therefore many new ideas. So different investors have different focuses, however, Liu Erhei’s team makes steady plans,and keeps switching bases, or so-called industries. What is your next step? Liu Erhai: Actually we are very cautious, we are skating on thin ice. Venture capital is actually a difficult industry. Because VC is very long-term focused. You are young, you start investing in a project right before your thirties, you want to do something big. The problem is that you won’t see the result until 5, 6 years later. And if the project is failed in 2 or 3 years, you waste your efforts, right? Entrepreneurs are one of the things we are building up, the other thing we are building up is the industry expertise. We have our bases, from automotive and mobility back then, to today’s living & space. Next step, we want to do more in tech, especial in IoT and AI. The future trend overall is moving towards ultra-innovation, and we have made a few companies like that, meaning firms with more technical content and a higher level of innovation. I believe we have entered a new era.